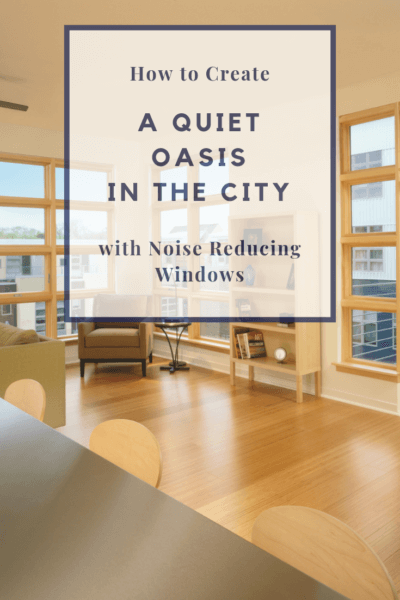 As more and more people flock to cities, interior noise reduction is becoming a major concern for both builders and buyers. In fact, the EPA now classifies noise as a type of pollution because it can have adverse effects on health, especially where stress and sleep quality are concerned. Anyone who lives near an airport or has a neighbor that likes to mow the yard first thing Saturday morning will agree! Soundproofing is definitely something to consider in high-noise environments, and when it comes to windows, in order to get the most sound reduction for your money, you’ll need to consider the window’s STC rating. Let’s take a look at what this means, and how much difference it will make. The acronym “STC” stands for “sound transmission class.” Originally, this was a method that engineers used to measure sound transfer between interior walls, but over time, STC became the standard for measuring a window’s ability to reduce sound transfer. To choose windows with the best STC ratings, look for higher ratings, since higher numbers mean better sound reduction. To give you an idea of how these ratings relate to sound reduction, the average single-pane window has a rating of between 18 and 20. Double paned windows can have an STC rating between 28 and 32, and windows with excellent sound reduction can have an STC of 40 or more. Windows with an STC between 45 and 50 will cut between 90% and 95% of exterior noise, earning them the “soundproof” classification. How Do Windows with High STC Ratings Work? In windows that have higher STC ratings, there are several design features that engineers use to help reduce noise transfer. Air space between the panes is one of these features. Windows with panes that are farther apart transfer less noise from the outside because the extra space makes it more difficult for soundwaves to travel through the window. In other words, windows with panes that are closer together are likely to transfer more sound. 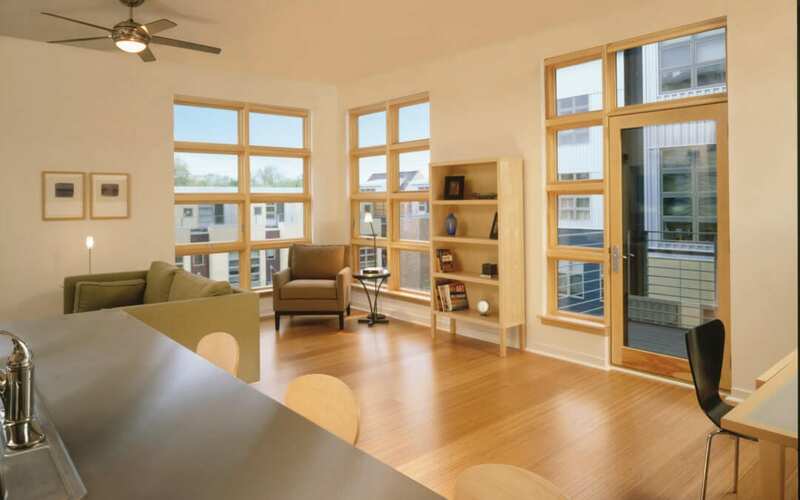 Other design considerations that help increase a window’s STC rating are its thickness, particularly the thickness of the glass panes, and any sound-absorbing insulation weather stripping that may be used within the window frame or to seal gaps. In general, thicker, better insulated windows will offer less sound transfer and thus, higher STC ratings. If you want to learn more about the science behind soundproof window design, check out this slideshow from Marvin. Are High STC Windows Worth the Expense? Noise pollution is a big concern for buyers, particularly those who are shopping for condos in busy neighborhoods. This means that the more soundproofing a unit has, the more attractive with will be. How do you decide how much soundproofing you’ll need? One way to settle on an appropriate STC rating for windows is to hire an acoustic professional to determine the STC rating of the condo’s walls. On average, a wall constructed with 2x4s and insulation in a typical stick-built structure will have an STC rating of 36. Going higher than this with your windows won’t offer more sound reduction since the walls will allow some transfer of sound. And then there is the question of how much sound reduction you will see. If the building features single paned windows, an upgrade to double paned windows with an STC rating around 27 could reduce sound transfer by as much as 40%, which represents a dramatic sound reduction in high-noise environments. In general, upgrading windows by two STC points may not give you a noticeable difference in sound reduction, while upgrades of 10 points could reduce sound transfer by half. Quiet interiors can be the deciding factor when it comes to home and condo sales in busy neighborhoods. To learn more about how NEBS and Marvin windows can help reduce sound in Boston’s busiest neighborhoods, check out the video below!